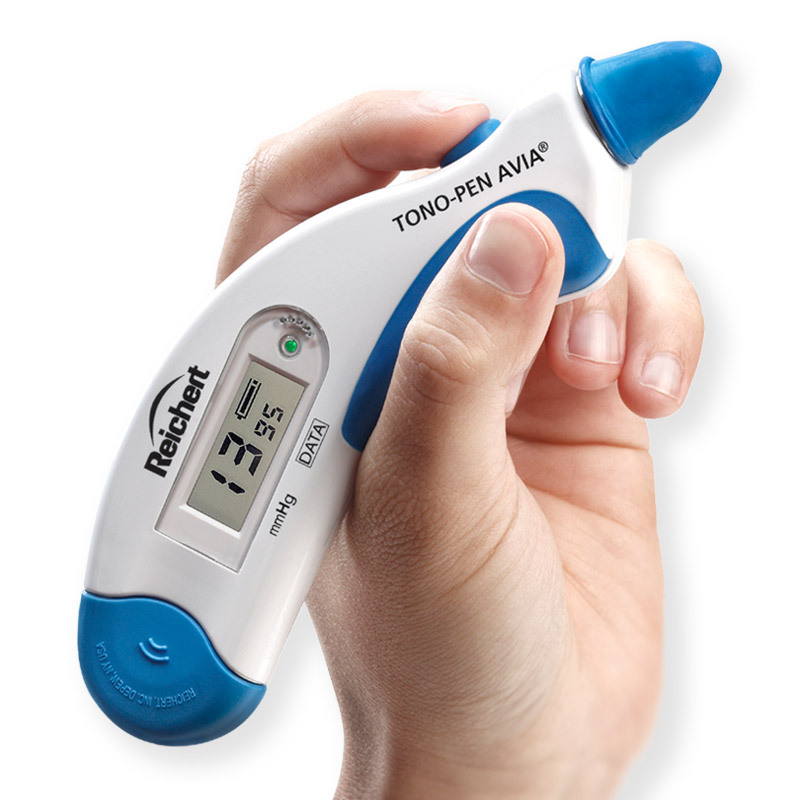 Tono-Pen® AVIA, now with Quick-Tap™ Measurement Mode... More confidence. Less measurements. The one you trust in tonometry. Tono-Pen AVIA® Handheld Tonometer is always ready-to-use and calibration-free. An award-winning ergonomic design, long life battery good for thousands of measurements, statistical confidence indicator, and now Quick-Tap™ Measurement Mode, make it the most advanced Tono-Pen® yet. Tono-Pen AVIA builds on all the features that make the classic Tono-Pen® XL the clinicians’ choice for the past 30 years. Supported by hundreds of publications, Tono-Pen provides fast, accurate, and reliable IOP measurements that are less sensitive to corneal centration, can be taken in any position, and require minimal training. 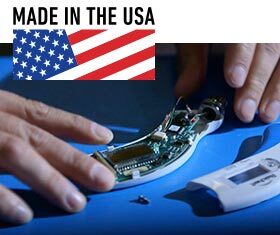 Tono-Pen is proudly made in the USA. Tono-Pen AVIA, like the Tono-Pen XL, uses sanitized Ocu-Film® + Tip Covers to minimize the risk of patient cross contamination. **Price shown is to US customers only. 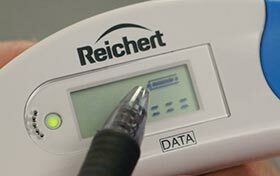 If outside the US please contact your local Reichert Authorized Distributor. Tono-Pen AVIA® is currently unavailable for purchase online in USA. Please call 1-800-TONO-PEN (1-800-866-6736) for immediate assistance and updates on availability. Check back often for online availability! Tono-Pen AVIA® - The most advanced Tono-Pen® Tonometer yet. Tono-Pen®, the one you trust in tonometry. 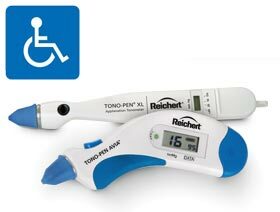 Tono-Pen AVIA handheld tonometer requires no routine calibration and is always ready-to-use. makes it the most advanced Tono-Pen yet. 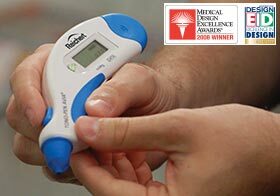 Tono-Pen handheld tonometers are proudly made in our state-of-the art world headquarters in Buffalo, NY, USA. Protect your Tono-Pen and your patients with genuine Ocu-Film. Disposable and affordable, single-use, sanitized Reichert Ocu-Film + Tip Covers protect your Tono-Pen, and are easy to apply. Using genuine brand Reichert Ocu-Film + Tip Covers guarantees you are using tip covers that are specifically engineered for proper performance of your Tono-Pen. 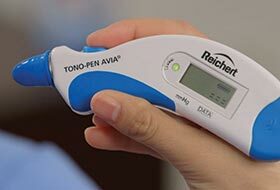 Using non-Reichert tip covers may cause Tono-Pen readings to be erratic or inaccurate, and may result in difficulty obtaining measurements. 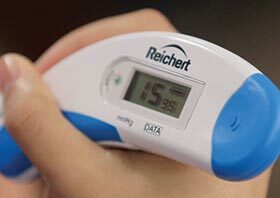 Non-Reichert tip covers may also contaminate the Tono-Pen transducer, potentially voiding the warranty, and resulting in the need for costly service to the instrument. 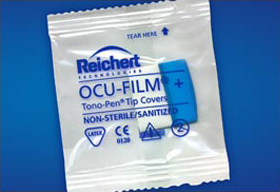 Reichert Ocu-Film + Tip Covers are FDA cleared and are blue in color to assure the user that the tip cover is the genuine brand approved for use with Tono-Pen AVIA and Tono-Pen XL Applanation Tonometers.